Review by Ben Myers. New Statesman. The dark shadow of Peter Sutcliffe still looms long across West Yorkshire. Even today, 34 years after his arrest, many still have a Sutcliffe story to relate: of being stopped on the M62 for sporting a beard; of seeing the flapping tape of a police cordon on a mizzling morning in Halifax; of drinking with the man himself. The Yorkshire Ripper case raised questions concerning poverty and prostitution, police ineptitude and representations of the north and only the dark depravity of the recent Jimmy Savile revelations have knocked Sutcliffe from his position as bogeyman number one. No other British criminal has inspired quite so much literature. The Sutcliffe canon is bulging, from the forensic, occultist writings of Gordon Burn and David Peace to the epic poetry of The Ballad of the Yorkshire Ripper by Blake Morrison, the academic feminism of The Streetcleaner by Nicole Ward Jouve and a plethora of sensationalist tabloid tomes. 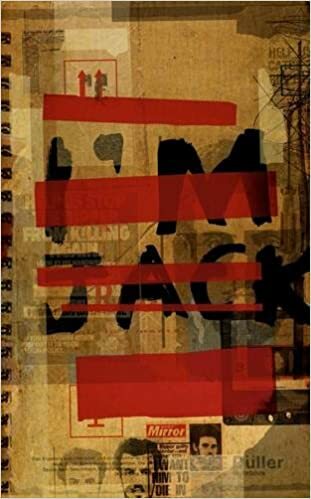 We can add to this list Mark Blacklock’s intriguing debut, I’m Jack, written to remind us just how deeply embedded in the northern psyche Sutcliffe was – and still is.